Peggy Snow. “On Spanntown Road”. 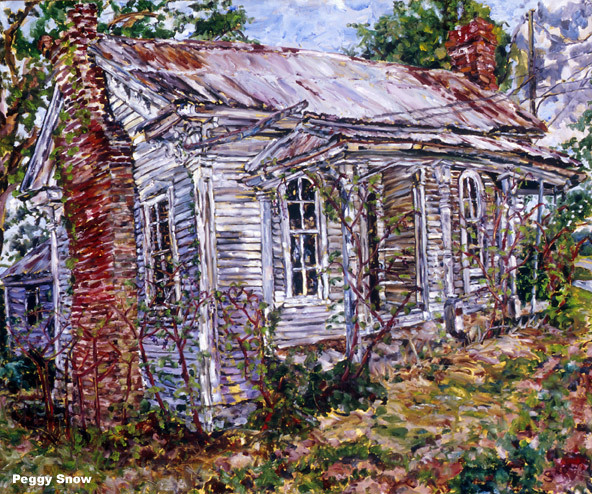 2002 oil on canvas 30" x 36"
Beautiful vacant farm house in the countryside around Nashville, now completely vanished.